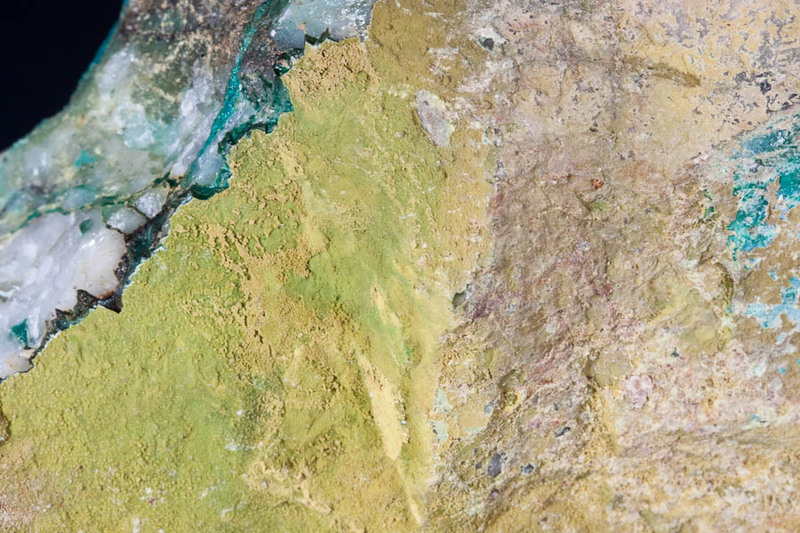 Comment: A 11.5 x 9.5 x 4.9 cm matrix, the top covered by yellowish-green micro crystalline mottramite. 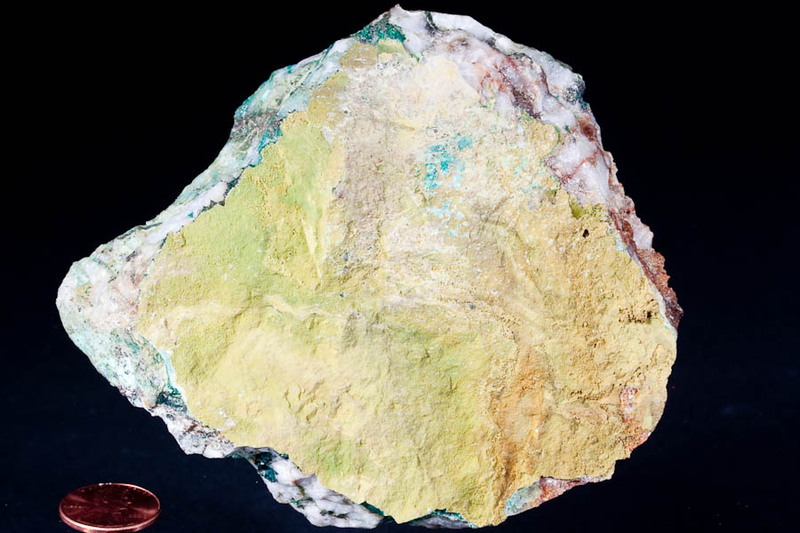 Minor blue chrysocolla in association. Very good cabinet piece for the species/locality! Ex Peter Gillis collection.